The devastation wrought by the Woolsey Fire in Malibu and Thousand Oaks has hit the Southern California surf community hard. Laird Hamilton singlehandedly fought off flames around his home and posted the ordeal on Instagram. Strider Wasilewski lost his home after a harrowing escape with his family. And our very own Alex Haro was evacuated from his abode late last week – the status of which is yet unknown, but, sadly, it’s not looking good. Our thoughts are with all of those affected (and if you’re able, you can donate to continued relief efforts here). While Malibu residents slowly return to the affected areas to pick up the pieces and begin to rebuild, going for a surf is likely the least of their worries. In the coming months of winter, that may change. 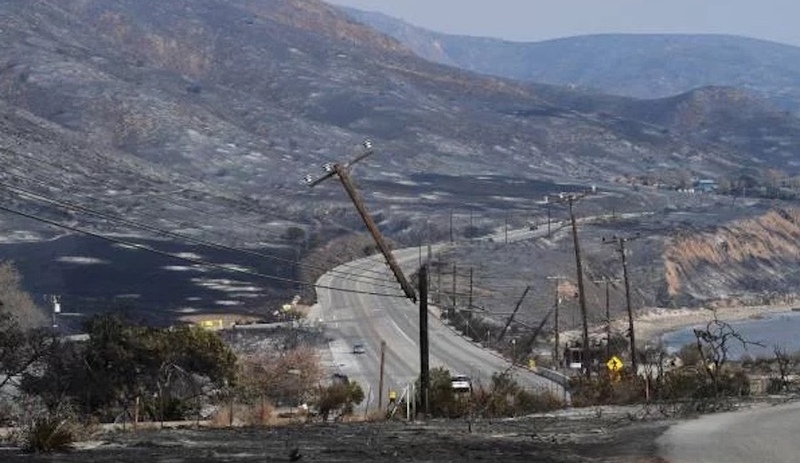 But, if last year’s Thomas Fire that ravaged areas of Ventura and Santa Barbara is any indication, areas of Malibu may still be at risk. As many Californians understand by now, when wildfires destroy trees and foliage hillsides lose natural anchors holding earth to the slope. When that happens, areas are particularly susceptible to mudslides – which is precisely what happened in Santa Barbara County following the Thomas Fire. Mudslides in Montecito closed parts of U.S. Route 101 for weeks and beaches from Goleta to Rincon were also closed. No doubt many Malibu residents are concerned that heavier winter precipitation could cause a repeat scenario down south (there’s actually a slight chance of rain forecasted for mid-week before Thanksgiving). “Burnt metal, plastics, insulation used in homes, etc., etc. will make the ground very hazardous. Especially after the first rain. That’s the runoff concern for surfers,” echoed Reddit user u/Low_Tide. For now, there is only one water quality warning at Surfrider Beach Malibu Lagoon, where bacteria levels exceed state standards. Air quality is also slowly improving. If there’s any respite it’s that unlike Rincon to the north that was closed during its primary swell window, many of Malibu’s pointbreaks will remain pretty dormant during the winter months. For information on water quality at LA County beaches, you can go here. Although, Hickman explains that the results of water quality tests are typically posted two days after samples are taken. “The general advisory for most of Southern California is that once it rains more than 0.1 inch, people should stay out of the water for at least 72 hours,” he said. Adding, if the water is brown, best not paddle out.